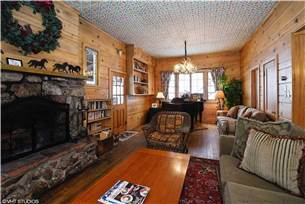 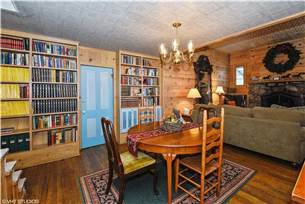 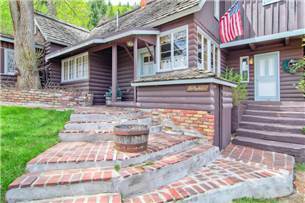 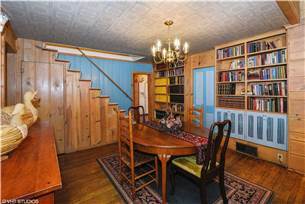 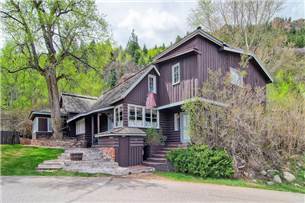 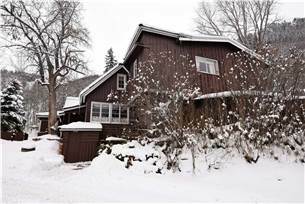 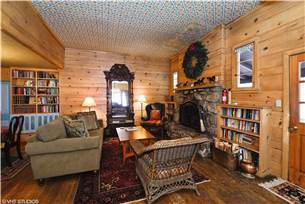 The Barbee Cottage is a historic mountain home dating from the late 1880s with real Aspen history. 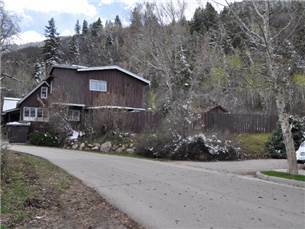 Located just a short walk from Aspen’s downtown shopping, dining, and nightlife, this economy rated house is also just about 500 yards from Aspen Mountain's Lift 1A and just a couple of blocks from the Silver Queen Gondola. 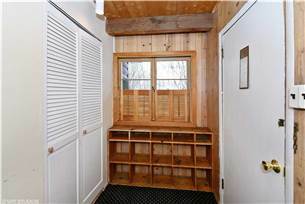 The spacious mudroom with a closet is a great place to shed and store skis, boots, poles, jackets, and shoes until the next adventure. 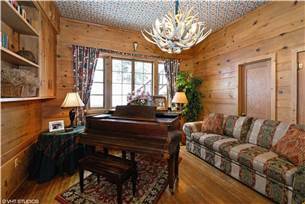 This vintage, eclectic home features a comfortable living area with a baby grand piano, and the focal point of the room is a natural stone, wood-burning fireplace. 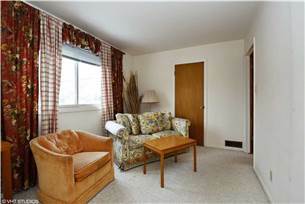 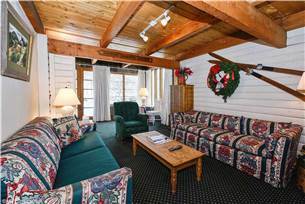 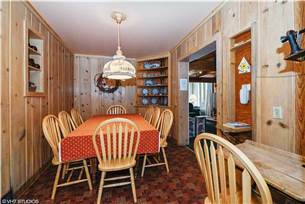 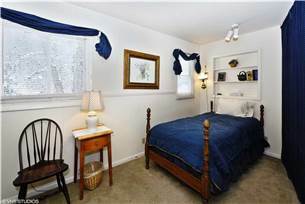 The second cozy family room has a flat screen TV and a wall of windows overlooking the expansive back yard. 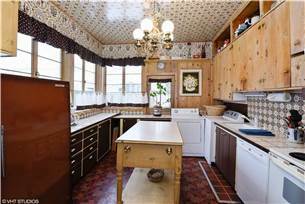 A true artifact remains in the U-shaped kitchen of our vintage cabin. 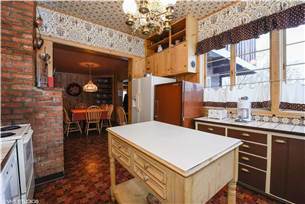 No longer functioning but historical nonetheless, a brick wood burning oven holds its place in time along the wall of our historical cottage. 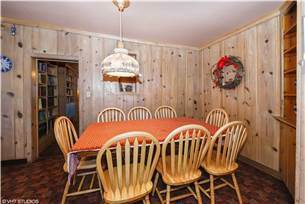 The home features a dining area for eight, free wireless internet, a washer and dryer, a Weber barbecue just outside, and parking for 2-3 cars. 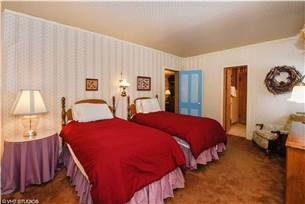 The master bedroom upstairs has a king bed and attached bathroom, and the other three bedrooms upstairs share a bathroom and have one queen, two twins (can be made into a king), and one twin, respectively. 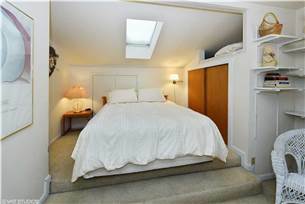 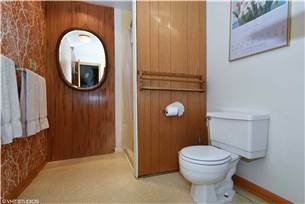 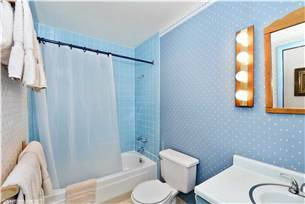 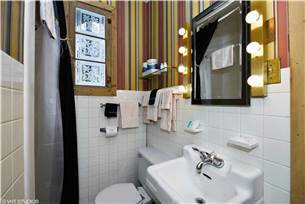 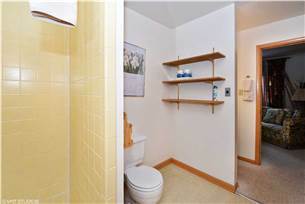 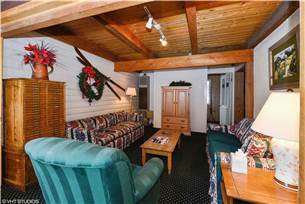 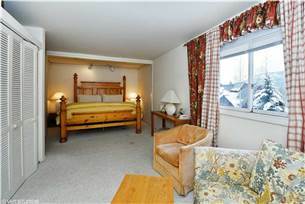 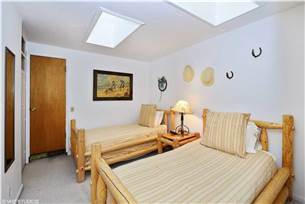 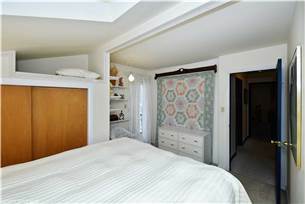 There is one bathroom on the main level and one bedroom with two twin beds. 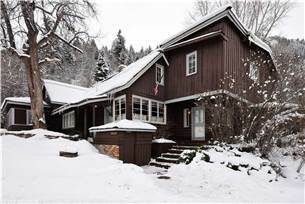 Please note, there is a full time caretakers unit associated with the home.